Which country's movie do you like most? Actually, American Hollywood movies, India Bollywood movies, movies made by England and even Asian movies are the common choices of most people when they wanna to watch a movie. But do you know French movies are also impressive and worth watching. They are noticeably different from the typical output of Hollywood and Bollywood. The typical best French films notable feature in slow, subtle and ambiguous plot-lines, strong character development, no expectation of happy, predictable, neat or conclusive endings and an emphasis on art rather than revenue. Here we've compiled the best French movies of all time. Free Download Best French Movies with World's NO.1 Fast Speed! MacX Video Converter Pro - best all-in-one movie downloader to free download French romantic movies, comedy movies, action films from YouTube, Dailymotion, FB, Crunchyroll, Pandora TV, etc. 1000+ movie sharing sites in 720P 1080P 4K UHD to computer, iPhone iPad Android, etc. with world's fastest speed (Intel QSV/Nvidia/AMD supported). 1. 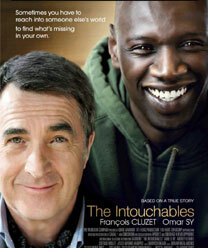 The Intouchables - It's released in 2011, telling a story of a street-wise young man becomes the caretaker for a quadriplegic aristocrat. It's also an emotional movie which has made many people laugh and cry at the same time. 2. 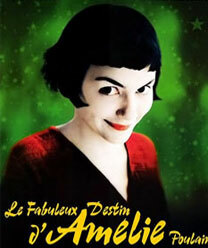 Le Fabuleux Destin d'Amélie Poulain ("Amélie") - Rated at the front of top 10 French movies, it's about one woman decides to make a positive change in the lives of those around her. 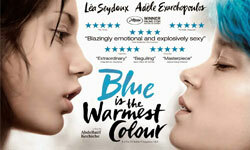 And this film presents a positive look at French daily life, and provides insight into a lighter side of being human. 3. L'Auberge Espagnole ("The Spanish Apartment") - This movie from France is particularly suitable for those who leave home for work and study aboard. It tells a story of a straight-laced French student studies abroad in Spain and has his life changed through meeting other international students from around Europe. The big reason why this film ranking in the top 10 French movies list is because it strikes a chord with millions of drifters. 4. 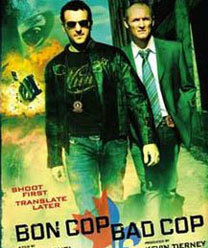 Bon Cop Bad Cop - A film about police and ganster, which is a relatively rare movie genre in best French movies list. This film is about two cops from different Canadian provinces must work together to solve a crime, where a man is found dead exactly on the border between Quebec and Ontario. As the best French film, I must say it is gold for those who are the fans of buddy cop films or who want to hear a good dose of the Quebecois French accent. 5. 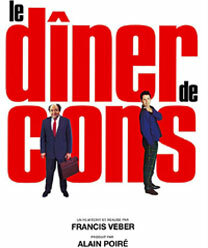 Le Dîner de Cons (The Dinner Game) - A group of friends compete against one another to try to find the stupidest person they can to bring to dinner. It backfires though, as the guest unintentionally starts messing up his host's life, always with the best of intentions. 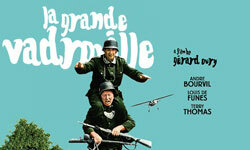 Besides, this best French comedy movie is hilarious but not extremely complex. Even fresh French learners can make through with subtitles. 6. 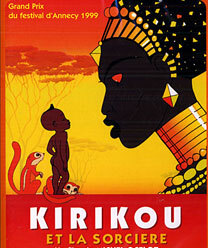 Kirikou et la Sorcière ("Kirikou and the Sorceress") - There surely should be some best French movies for children to watch. Kirikou et la Sorcière is precisely the one, telling a story of an amazing child in West Africa goes on a quest to stop an evil sorceress. This family-friendly animated story based on West African folklore has easy to understand dialogue combined with rich visuals and a compelling story. Ultimate Mac DVD ripper - MacX DVD Ripper Pro offers a faultless solution to backup & rip french DVD movies on Mac/PC, iPhone iPad Android devices in MP4, MOV, AVI, FLV, 720P/1080P and so on, bypassing all protections including DVD CSS, region code, RCE, Sony ArccOS, UOPs, Disney X-project protection, etc. A critically acclaimed best French movie of all time, telling a story of Adele grows, seeks herself, loses herself and ultimately finds herself through love and loss. 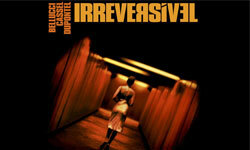 It is directed by Abdellatif Kechiche, who also directed Black Venus and Chance. Movie fans who enjoyed Show Me Love & Water Lilies should surely watch La Vie D'Adele - it deals with themes like love, women, and incorporates drama, romance etc. Released in 2001, reflecting reality and humanity. Events over the course of one traumatic night in Paris unfold in reverse-chronological order as the beautiful Alex is brutally raped and beaten by a stranger in the underpass. Her boyfriend and ex-lover take matters into their own hands to revenge. But time destroys everything. Really, happy ending isn't always the appeal of the top movie from France. This is a quite old classic French movie, released in 1966, which is about A British pilot shot down over France during World War II is helped by a group of French civilians to make an important rendezvous. What is worth mentioning is that the best French film is an education on French stereotypes – both for the non-French characters in the movie, and for viewers. It's full to bursting with cultural gems. Families and animal lovers cannot miss this movie from France. You may know of this documentary already, but it was first made for a French audience. 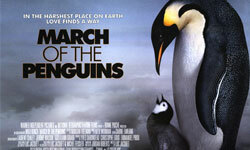 Be sure to pick up the original French version of this film, which, unlike the American-released version (narrated by Morgan Freeman), has voice-over dialogue between penguins. Clear and understandable French makes this great for beginners. Nowadays, films from France have gradually become popular in English speaking world. Many successful French films are remade for English speaking audiences. But does that mean original movies in French are not accepted by the public? Apart from the best classic French movies, the latest ones are also worthy to watch. Here is the list of the best latest movies from France in 2015 - 2016. Having checked the classic or latest best French movies, if you watch to watch them immediately, just go through to free download them. Only a movie downloader is needed. For example, MacX Video Converter Pro offers you a surefire method to download French top movies within a few minutes for offline playback. It is capable of downloading all kinds of movies in French from YouTube, Dailymotion, Myspace, Metacafe in MP4, MOV, AVI, 720P/1080P etc. Step 1: Free download best French films downloader , and run it on your computer, or download Windows Version if you are using a Windows PC. Click "YouTube" icon, copy and past best movies from France URL to the box frame, click "analyze" to load the best French full movie. Step 2: Choose movie format and resolution (up to 4k UHD) you want. Step 3: Click "Browse" button to choose a folder to save the top French movies. Step 4: Click "Download Now" button to start the best French films free download. The software downloads best-ever French songs, Bollywood movies, new Hollywood Disney movies, as well.